Read the latest updates on what’s happening in your favourite little tea shop. 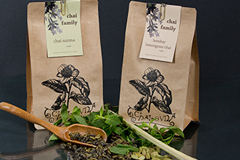 Tchai-Ovna stocks over 100 types of delicious and nutritional tea. Some of our favourites can be bought online! Click here to check the gigs and events taking place at the shop. Gigs run from 8 til 10 and are free, though donations are gratefully received. 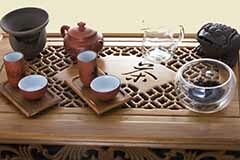 Tchai-Ovna is an Aladdin’s cave of teas serving around 100 kinds along with vegetarian food. We’re situated in an old stables, hidden down a wee cobbled lane at the ancient fording point of the mythical Dobbie’s Loan. 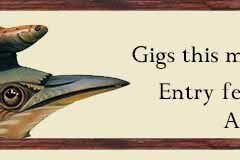 As well as providing a relaxed, peaceful environment to sit and read, play games or meditate we host a large variety of events from exhibitions to live music. So please feel free to browse our online shop to buy tea online, or even better take some time out and visit us at Tchai-Ovna: House of Tea Glasgow. You can find us a short walk from Kelvinbridge Underground. You can view our next upcoming event on the left hand side of the page, or visit our live events listing page. All of our events are free to enter unless otherwise stated.